The University of Kentucky College of Pharmacy will host its ninth annual Therapeutics, Outcomes, Discovery & Delivery (TODD) Symposium from 8 a.m. – 5:30 p.m. on Thursday, Sept. 6, 2018 in room 124 of the Lee T. Todd, Jr. Building. LEXINGTON, Ky. (Aug. 28, 2018) – The University of Kentucky College of Pharmacy will host its ninth annual Therapeutics, Outcomes, Discovery & Delivery (TODD) Symposium from 8 a.m. – 5:30 p.m. on Thursday, Sept. 6, 2018 in room 124 of the Lee T. Todd, Jr. Building. 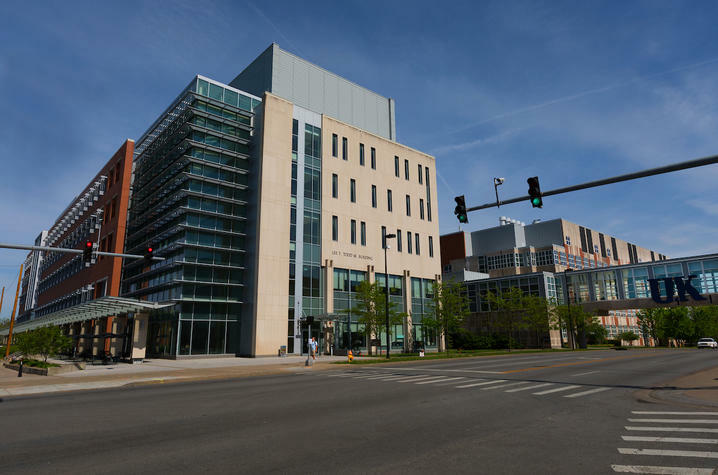 The TODD Symposium will feature recent advances in the translation of big data to provide new insights into diseases affecting the Commonwealth – including cancer, substance use disorders and cardiovascular diseases – as well as discoveries of therapeutics and diagnostics to address unmet clinical needs. “The 2018 TODD Symposium will update the audience about recent advances in precision medicine and genomics to address significant clinical problems,” said Jeff Talbert, UK College of Pharmacy professor and Chair of the 2018 TODD Symposium. All UK and regional scientific communities are welcome to attend the TODD Symposium. Registration is free and must be completed online by Sept. 3, 2018 in order to receive lunch. Support for the symposium is provided by the UK Institute for Biomedical Informatics, UK Center for Clinical and Translational Science, UK Markey Cancer Center, the UK College of Pharmacy, and the UK College of Public Health.